I posted it somewhere before, that according to my friendly software guru, the so- called deletes are just programs steering computer self-check on detours. Now for the egr i still need some help. I've also been communicating with customer service on the Malone site, and they are directing me to a different area for the egr/anti-shudder valve (i think egr and anti-shudder valve are the same thing) unplug (which i think may be wrong based on what i found on the internet and on what todds87ss confirmed for me above). I went after the area/plug that i pointed out and todd said was the egr. 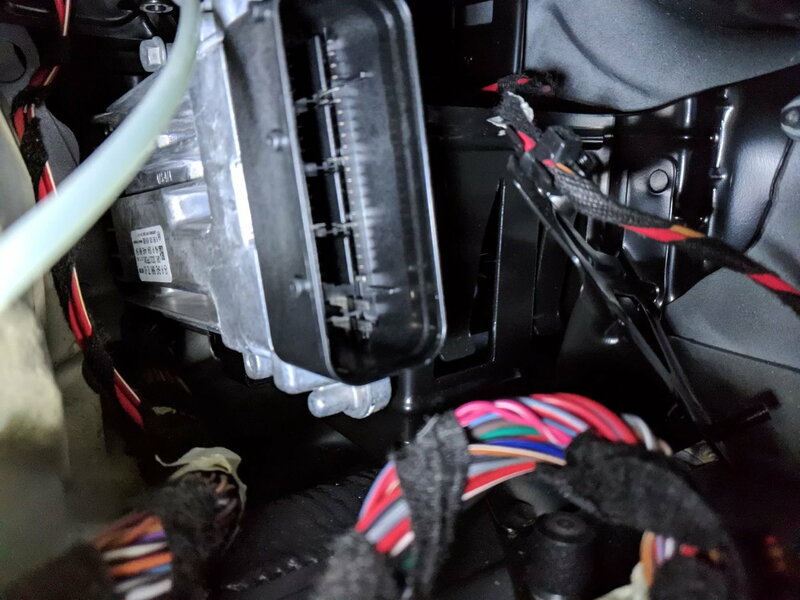 i pulled out some plastic panels to get better access to that back area, and also tried using a hook/pick set to try and release/unplug that connector, but no luck. Now i didnt try pulling on it too hard as i didnt want to break/crack anything. 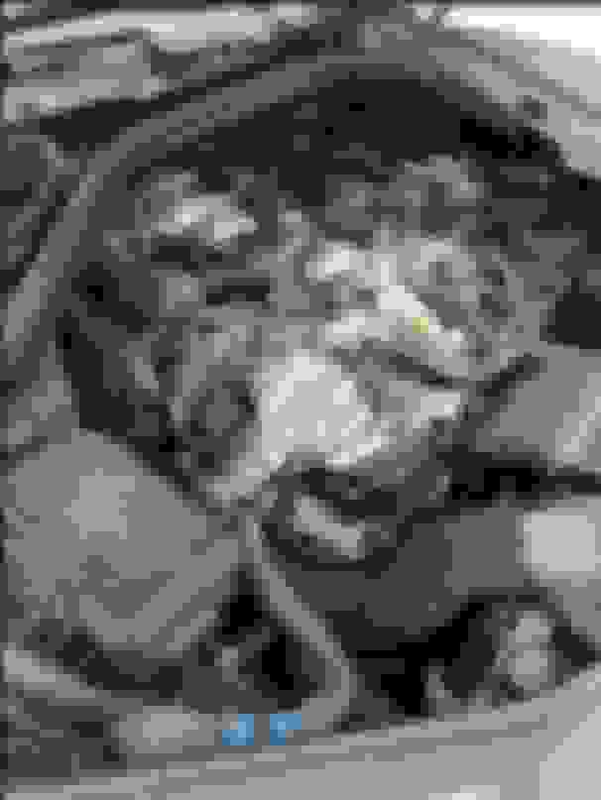 i was able to unclick a white tab(circled in yellow), but when i tried tugging on the cables/plug nothing would budge. The black plastic panel (circled in red) seems to be in the way of pulling out the plug, but im not really sure since the plug wouldnt move. I was tugging on it in the direction of the arrow. any tips/advice on getting it unplugged? i dont want to rip/break anything when trying to unplug it. Not sure from the pic, but I think you have to pull up on the grey tab and then squeeze to remove. 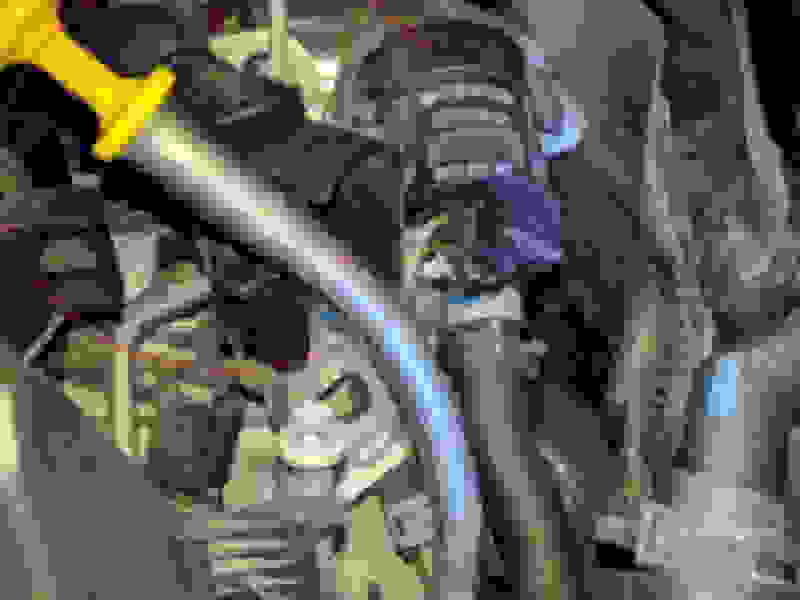 2011 ml 350 Blu Tec DPF delete cat delete Buzzken pipe , now esp Inoperative. 2011 ml 350 blu tec . I just had the dpf delete, cat delete, buzzken pipe installed, Ecu tuner by AA rodriguez done , I now have problems with the ESP Message in dash and it lights up the dash like a christmas tree , wont let you go into neutral , tach going to 0 ect. had it towed home , it sat over night and I restarted it this morning and no ESP light, but the check engine light is now lit. this was after i changed both batteries yesterday, because it left my wife stranded 2 nights ago, Thank God for AAA premium, I talked to aa rodriguez on friday and he suggested a new battery , so I bought the best Interstate AGM and also a new MB auxiliary and installed them yesterday. Took it on a 5 minute ride shut it off for 3 minutes and restarted it to find ESP inoperative take to workshop , dont shift gears, message. Then it started acting crazy, wipers started, tire pressure light lit, abs light lit, every light was going crazy, then i called AAA and towed it home, Could someone please point me in the right direction, I did do the steering angle reset yesterday and also today, Also HI Peter, we also have a home in the cape, I would love to talk to you, I am going to try to send you a PM.. Thanks People!! Read the codes. ESP light could be result of low voltage, or maybe during all the deletes they damaged sensor? The gray tab in plug is the lock. You have to slide it out few mm to unlock and then pull the plug. got it, thanks everyone! the plug was definitely a little stuck, took some tugging/wiggling to get it to slide out. even once loosened it took some bending and pulling to get it out because that black plastic thing was in the way of the plug easily sliding out., had to bend the cables a bit to get it to turn the corner. 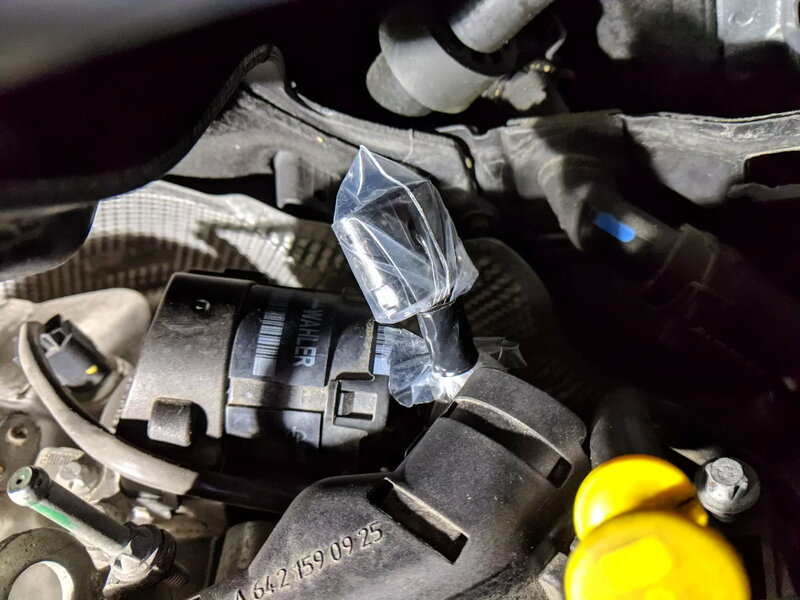 I took some glad zip loc freezer bags (the thicker ones) and cut the corner out, then i wedged the connector in the corner of the zip loc, and then wrapped with electrical tape around the cable behind the connector to seal it in. I did this on the adblue plug in the trunk and also on the plug from the egr. 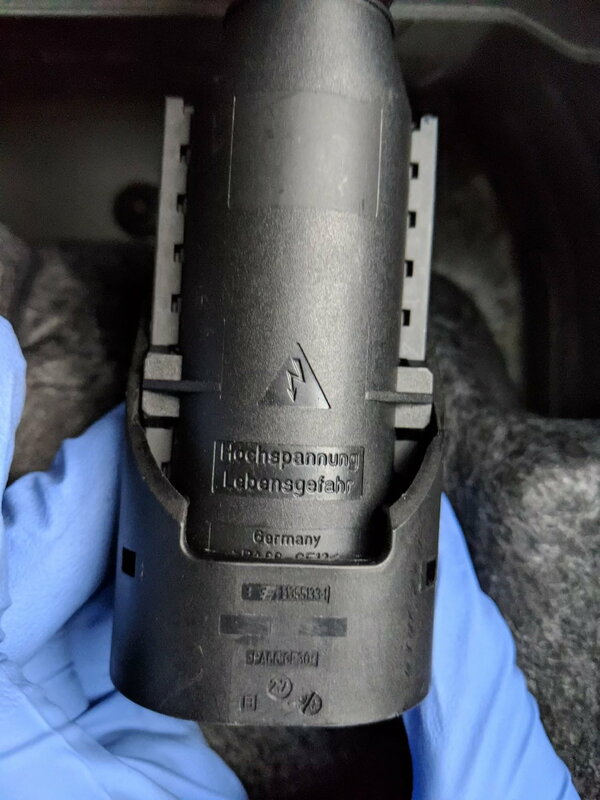 I get the connectors are the main concern because the connector is still connected to the system and has electricity running through it, but on both the adblue controller in the trunk and the egr valve the actual socket that the connector plugs into is totally exposed to the elements. Can't think of a great way to seal those besides just taping over them with electrical tape. Electrical tape leaves gunk on stuff sometimes so I just left them open, hopefully no moisture/water gets in there and ruins them if for some reason i were to ever need them and plug things back in. Ran an obd scan, had a few logged error codes, but they could've been there from before, maybe from those -35 celsius days we had (one was related to AC servomotor other to airmatic). i cleared them and ran another check and everything seemed ok just from the engine running for a bit. I'll keep an eye on it and see if something comes up. Noticed something else because i stood over the engine bay as it was running, i can hear a fairly consistent whistle/whistling from the passenger side, I tried to pinpoint it, i want to say its coming from the air box area on the passenger side. This may be new, or it may have always been there and i just never noticed. I'm wondering if the filters are maybe dirty and that is somehow causing it to whistle. [QUOTE=Babukb2;7678172]got it, thanks everyone! the plug was definitely a little stuck, took some tugging/wiggling to get it to slide out. even once loosened it took some bending and pulling to get it out because that black plastic thing was in the way of the plug easily sliding out., had to bend the cables a bit to get it to turn the corner. ......................Noticed something else because i stood over the engine bay as it was running, i can hear a fairly consistent whistle/whistling from the passenger side, I tried to pinpoint it, i want to say its coming from the air box area on the passenger side. This may be new, or it may have always been there and i just never noticed. I'm wondering if the filters are maybe dirty and that is somehow causing it to whistle. saw that post also, I didn't think that it may be the same issue. as mentioned hard to figure stuff out based on the description of a sound. i could be calling it a whistle, they are calling it a hissing noise. wouldn't hurt to inspect, but i have the same question others do on that post, where is the boost hose? is it just that giant black plastic thing on top of the engine that plugs into the turbo and has the air filters to the sides? Well after a couple of weeks my ESP problem might be solved! I thank everyone on this forum for all the good information that’s here! I ended up Re-setting the steering angle sensor by turning the steering wheel 3 times slowly from stop to stop! Then I had a Indy shop the specializes in German cars! 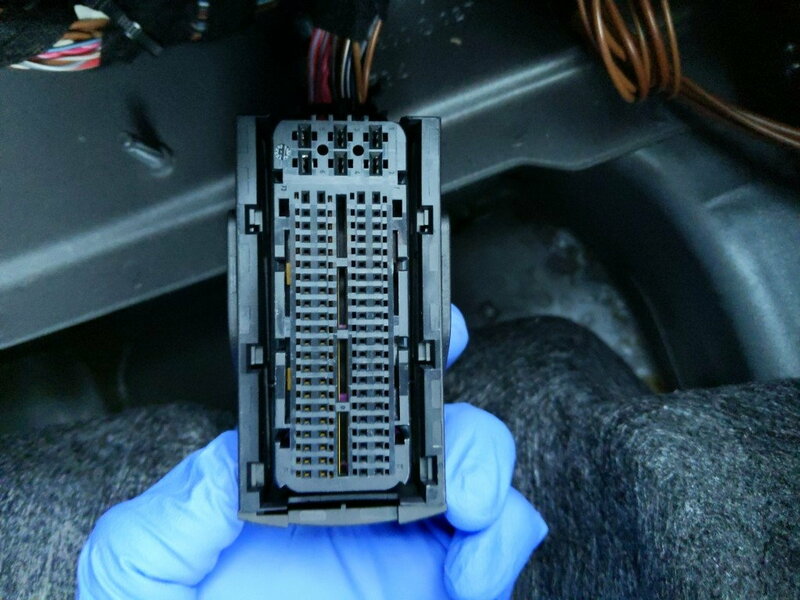 They are very good and they scanned and cleared all the codes that were set; we believe this happened because the battery cables were not disconnected before the ECU was removed and sent out for a tune and then plugged in after the tune was done. All this time the battery was connected! Please disconnect your battery if u ever do this! Thank ever! Hi Just giving an update on my DPF , Egr, and Cat delete, Buzzken pipe, JR tuner, Well Knock On wood, I think my problem was the ESP, the system had a bug or glitch in the system and after I changed the Batteries and re-set the steering angle sensor properly, and then having a Indy shop clear all codes, The ESP has been alright. This ML runs very strong and its getting a little over 30 mpg. This is a great group of people on here and I thank Everyone including Peter for their help, IF you are on the fence about doing a complete and a tune , and you want to drive your diesel, dont think twice, Do The Delete!!!! Glad to see it all worked out for you. cleaning engine, what to use ?